The thing about goats is they always look so innocent, at least when they’re not chewing on something they shouldn’t. And we think our painting detail here captures exactly that butter wouldn’t melt moment. 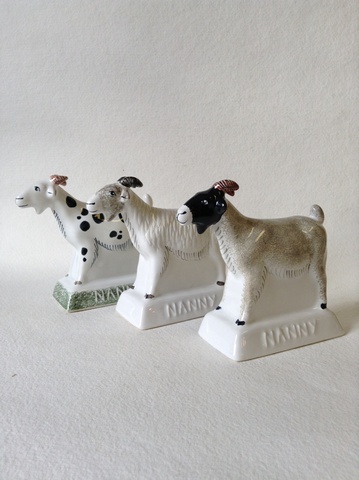 Available in Classic London Stone with Coral Horns and White with Black Spot. 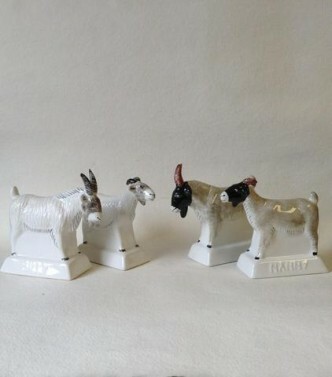 And new for Autumn/Winter 2013, we’d like to formally introduce them as Mountain Goats, as part of our contemporary, new All White Collection. 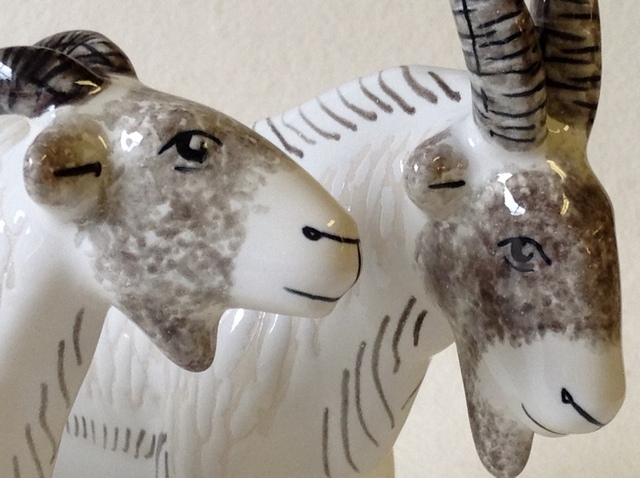 The All White Collection, which this season also includes our Sheep and Ducks, sees Rye Pottery animals introducing texture into the final stage of decorating for the first time. Featuring a technique we call Tracery, this adds an additional element to our traditional USP – no two pieces can ever be the same. 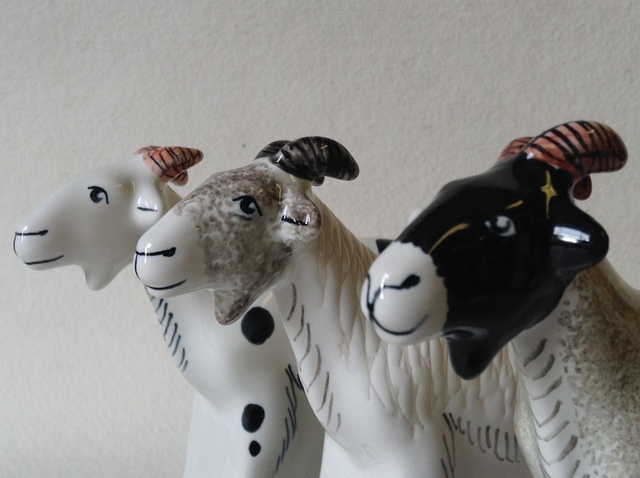 Our talented band of paintresses actually scratch the pattern of the goats coat into the glaze and then finish off faces and details with delicate touches of Charcoal. Available exclusively from us both singly and as a pair.